Are you in need of a little "you" time to decompress and rejuvenate yourself? Although it may seem counterintuitive, a trip to the northern Georgia mountain may be just what the doctor ordered. Despite the fact that the mountains offer rugged outdoor activities for those looking for adventure, those same mountains are also a retreat for those who need to remove the stress from their lives, relax, and unwind. The greater Helen area, alone, boasts a variety of luxurious spas and lush accommodations for individuals who just need to get away from it all. Here's a look at how to completely renew your mind, body, and spirit in northern Georgia. When visiting northern Georgia, you can instantly begin to completely relax without ever even having to step a foot outside of your cabin. 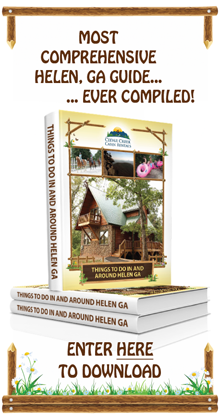 Luxury cabin rentals are available in the Helen area that are designed to promote peace, quiet, and privacy. Imagine yourself enjoying a glass of local wine while listening to soothing music and taking a long, hot bath in your own private Jacuzzi. 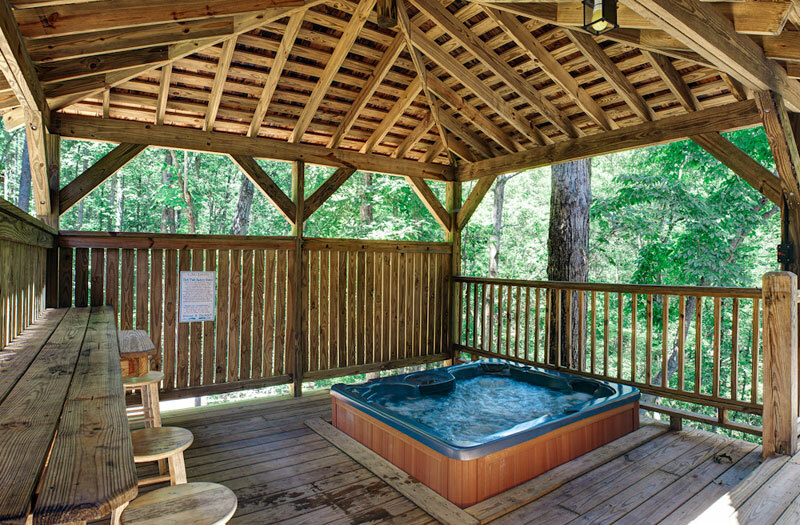 If you prefer, you can watch the sun set from an inviting hot tub that is solely yours for the duration of your stay. Curl up by the fireplace with a great book, or just enjoy watching TV from the comfort of a plush and spacious King-sized bed. The possibilities are limitless. Nacoochee Crossing Wellness Center & Day Spa - Nestled between Helen and Cleveland, Georgia, you will find Nacoochee Crossing Wellness Center & Day Spa. This holistic healing center promotes rest, renewal, relaxation, and healing, and offers powerful services to all that enter, in hopes of helping them to develop both a healthy body and a balanced mind. The center provides a wide range of relaxation services for individual persons in need of de-stressing, to a couple's session for the ultimate in romance. Clear your mind of all worries as you enjoy a 1.5 or 2 hour relaxation massage including either a hand or foot treatment, or an anti-stress facial treatment. There's even a package for a massage and gent's facial treatment available for men who need to unwind. Hot stone treatments can do wonders for your body, and body therapies can make you feel healthier and freer than ever before. Enota Spa & Wellness Center - This hot spot for relaxation is situated between Helen, Hiawassee, and Blairsville, Georgia. First, you will have the ability to choose between several different massage options. 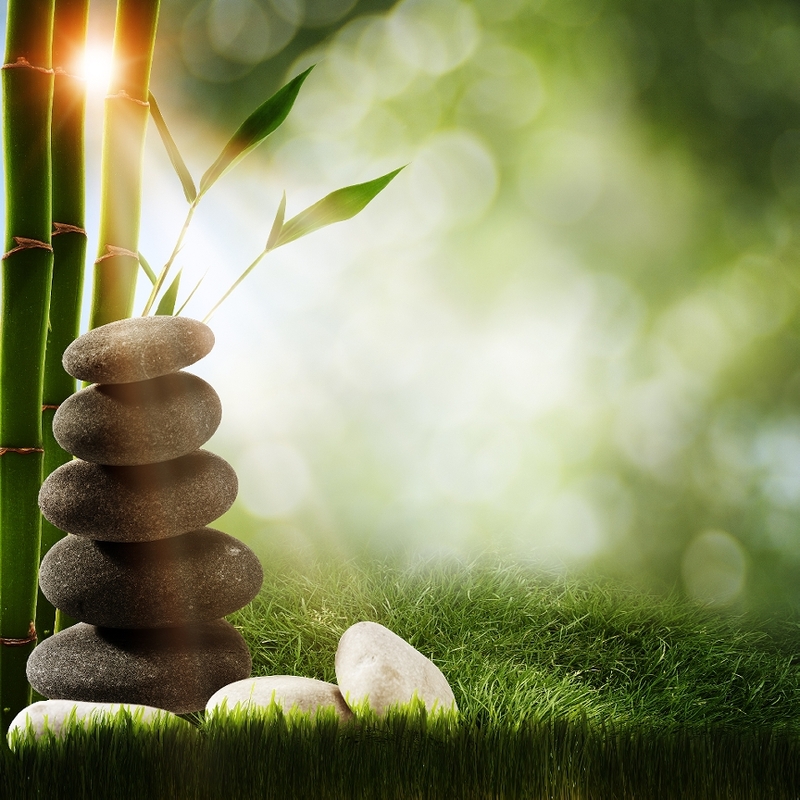 If you're in need of something more peaceful and restorative, you should consider a treatment that includes reflexology, hot stones, a Swedish massage, or a Shiatsu massage. If you've been very tense or have experienced an injury and need relief, you might want to go with a deep or connective tissue massage, or neuro-muscular therapy. In addition to these, you can also incorporate a body scrub, aromatherapy, or warm moist treatments into your regular massage to enhance the effect that it has on your mind, body, and spirit. Full body aromatherapy is also an excellent option, as it can bring total balance to your body and help to promote peace and tranquility in your every day life. Oasis Spa at Mountain Laurel Creek - Just a short drive away from the Georgia mountain cabins, you will fall in love with the Oasis Spa at Mountain Laurel Creek Inn, which is situated in Dahlonega, Georgia. The goal of the professional staff is to help visitors like yourself find a greater sense of well being, and to reduce the volume of stress in their lives. In order to ensure that these objectives are met, every treatment is personally customized for individual persons. Numerous massage package are available for you to select from, including reflexology and hot stone treatments. You'll also find serenity with an organic facial, or even an extravagant and anti-aging wine therapy treatment. There's no need to let yourself become bogged down because of the burdens of "the real world". Escape is a lot closer than you think. Are you ready to rid yourself of the stresses of day-to-day life and relax in northern Georgia?